Created in France, Safetyline Jalousie louvre windows have been developed and exclusively manufactured and distributed in Europe by Technal - a division of the European giant, Hydro. Technal has been at the forefront of European design and production excellence for more than 50 years. 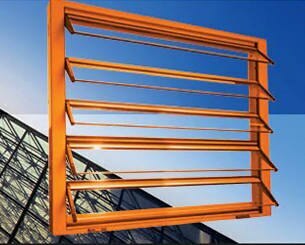 It is the leading brand for aluminium systems in Europe. 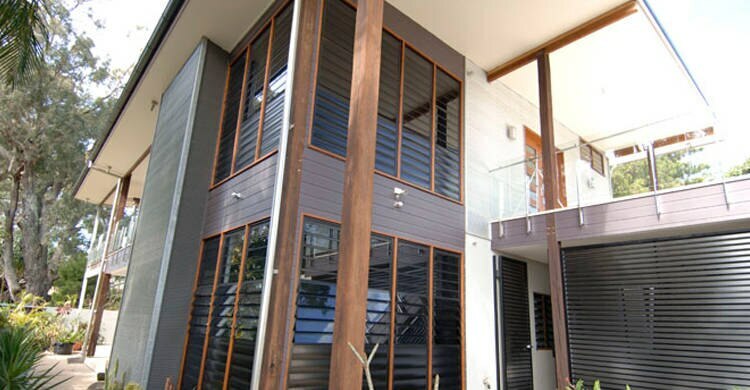 Technal offers an extensive range of windows, doors, facades and unique products, such as conservatories, balustrades, partitions, and louvre and hurricane-proof windows. Safetyline Jalousie provides a new dimension in louvre windows. With Safetyline Jalousie you can now open up the indoors with complete peace of mind. 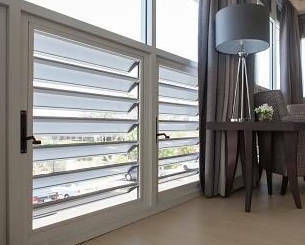 The JX model from Safetyline Jalousie has all the benefits of a glass louvre window but now with impenetrable security. With a large range of design options, Safetyline Jalousie glass louvre windows offer style and functionality. 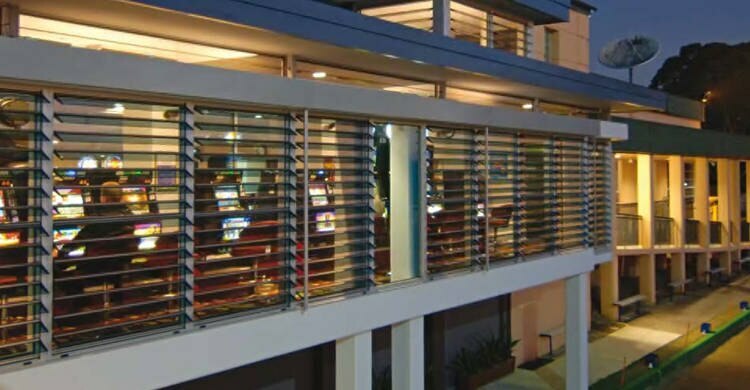 Every JX Safetyline Jalousie glass louvre is framed on three sides and hinged at the rear edge of the glass. 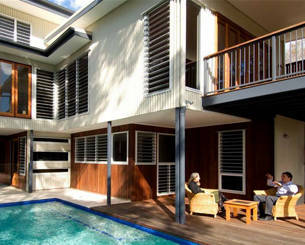 We can design a glass louvre system to suit any environment. This new sport centre at William Clarke College in Kellyville NSW was designed to achieve maximum natural ventilation. 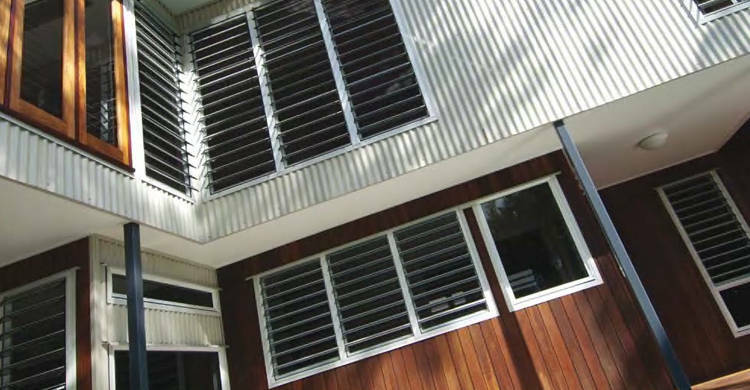 While the architect was familiar with the benefits of specifying louvre windows to achieve the desired cross ventilation for the building, they were keen to find a louvre window product that also met some of their other key objectives.